Religious Affairs Minister David Azoulay makes specific requests to secure synagogues, noting prayer cannot be postponed. 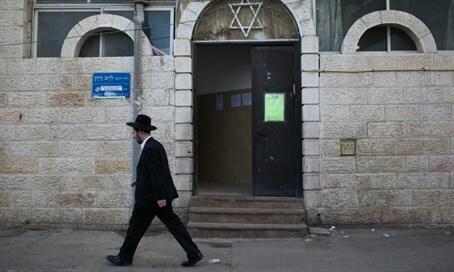 Minister for Religious Affairs David Azoulay (Shas) wrote a letter today to Internal Security Minister Gilad Erdan (Likud) Wednesday, demanding he place security around synagogues nationwide. "Following the security situation in which the State of Israel finds itself, in which innocent civilians are hurt every day and several times a day, I want you to raise the issue of securing synagogues," Azoulay wrote Erdan. "Synagogues essentially assemble dozens, and sometimes hundreds, of people into a small space," he continued. "Prayer cannot be cancelled or moved, like cultural or other events." The Minister for Religious Affairs said that terrorist organizations are familiar with the characteristics of the synagogues, and their services, and exploit them. "Unfortunately synagogues in Israel have been known to be targeted for serious attacks before, including attacks which saw a great loss of life," he noted, perhaps referring to the Har Nof synagogue massacre last November. "In light of the above, I would appreciate it if you would take steps to increase security around synagogues. I am confident that the Internal Security Ministry, under your direction, will find the tools to achieve the desired aim." Azoulay even made specific suggestions, including adding or reinforcing patrols, issuing bulletins to the gabays (administrators) of synagogues regarding special security arrangements, requesting that each synagogue include at least one person with a weapons license, and others. "I pray that God will help you in saving Jewish lives in Israel during this difficult time," he concluded. "Be strong and courageous."